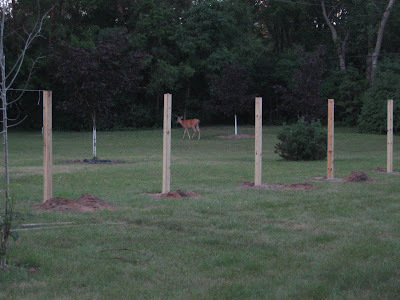 marital bless: Fence inspector of the deer kind. 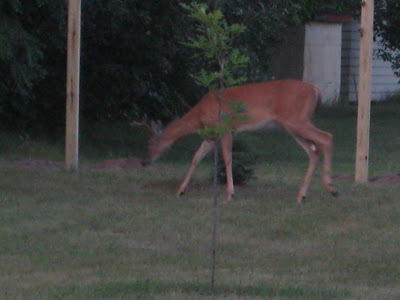 Check out the little guy we found wandering our yard at dusk last night! He only had one antler. Yet another reason for the fence! One of these buggers scraped to death our beautiful quaking aspen throughout the winter! We only have 7 more posts to set! Cool! My inlaws would have gone nuts over that! 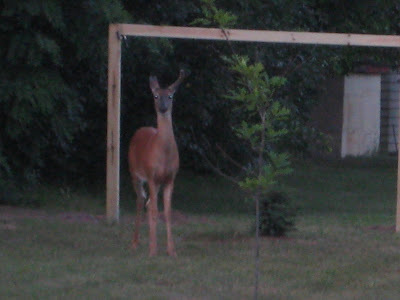 They love deer/wildlife. My hubs would trade houses with you in a heartbeat. He thrives on wildlife.